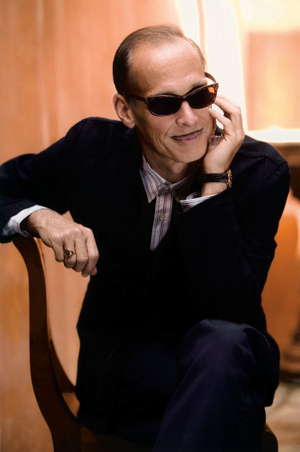 John Waters is most recently the author of Role Models. Condition of Mr. Segundo: Comparing himself to unspecified reference groups in Mertonian social situations. Correspondent: You observe that listening to what Tennessee Williams has to say could save the reader’s life too. But how can Tennessee Williams save the life of, say, a humorless tax auditor? Waters: They won’t read him. So I’m not saying he can save anybody’s life. But if the humorless tax auditor — and I actually know one tax auditor who does have a sense of humor. Waters: If they read Tennessee Williams, maybe they could save their life. Maybe they would overlook one receipt that wasn’t exactly deductible for business if they thought the person was doing art. Correspondent: Yeah. That’s true. In Role Models, you note that you drink every Friday night. Now in Crackpot, you observe that in your final year of smoking, you smoked only on Fridays. Correspondent: Why would you confine vice to one day of the week? Waters: Well, because the cigarette thing. Didn’t smoke. I used to. I haven’t smoked in — I write it down every day. I could tell you how many days. I’d have to look at my file card. But today — and even before then, I only smoked for three days. I fell off the wagon. But when I smoked every Friday night, it got to be — I couldn’t do that. Because at Thursday night at 11:59, I would light up and hotbox. Do you know what that means? Where you take one drag on a cigarette burn. Waters: A carton! Like right in a row. So I learned that I can’t chip. I am an addict with cigarettes. So that’s why. Friday nights? Because I don’t work on Saturday. And every other ngiht’s a schoolnight to me. I write in the morning. I can’t write with a hangover. I can’t. And when I drank on Friday — I did smoking on Friday night because I knew that I didn’t have to work the next day. I was going to drink too. I might as well do it all. Correspondent: This is your answer to Shabbos? Waters: No. It’s just how I get through life really. That I’m very organized during the week. And as I said, I believe if you’re going to have a hangover, it should be planned on your calendar three weeks in advance. Correspondent: But you can’t plan everything. Waters: I do plan everything. Correspondent: You do plan everything. Waters: Everything! I never have a spontaneous moment. I don’t want a spontaneous moment. Waters: Order is important to me. It brings me happiness. Which makes my assistants insane. Correspondent: What do you do when a curveball shows up? Waters: I plan. Well, a curveball? I deal with it. But I’m saying that I won’t not do something that’s going to be great fun because I didn’t plan it. Waters: But I make sure that I have great fun planned so I don’t wait around for someone to knock on my door and give me great fun. Waters: I go out to have great fun. And plan it. Correspondent: Well, how rigidly do you plan your life? Correspondent: Are you like a senator? Waters: No. But I usually do that around the same time too. And I get on an airplane. And I can adjust my watch to whatever time it is. Get off and be on that time. I’m organized, yes. But if something — you know, when I go out on Friday nights, something can happen. It’s not like I know what’s going to happen. But I have certain people I go with to different places. Because I don’t want to drink and drive. So I have a great pool that I go out with. And they’ll go to any weird bar. You’ve seen the bars I like to go to. There’s a whole chapter on that. Correspondent: But I’m curious. Do you allot a two hour time to just go out and observe people? Or something along those lines? Waters: Well, I’m always observing people. It doesn’t matter. On the subway, I’m observing people. I take the bus in San Francisco a lot to observe people. I watch people in airports get off the plane. I make up stories about every person. And if you look, the ugliest people get off first. They aren’t first class. The cuter they are, the worse seats they have on an airplane. It’s awful. It almost is foolproof. I know that sounds ridiculous. The poorest planners. The ones that lasted till the last minute and got the middle seat in the last row? Waters: They’re cuter than the ones who are rich or smart enough to plan to use their frequent flyer miles to get one of the few seats available in first class. They’re never that good looking.